No specific theme this week…just some cool books that you should know about! Premise: Han Solo, Chewy, Luke, and Leia take a team to explore the planet of Crait as a possible secret Rebel base location. 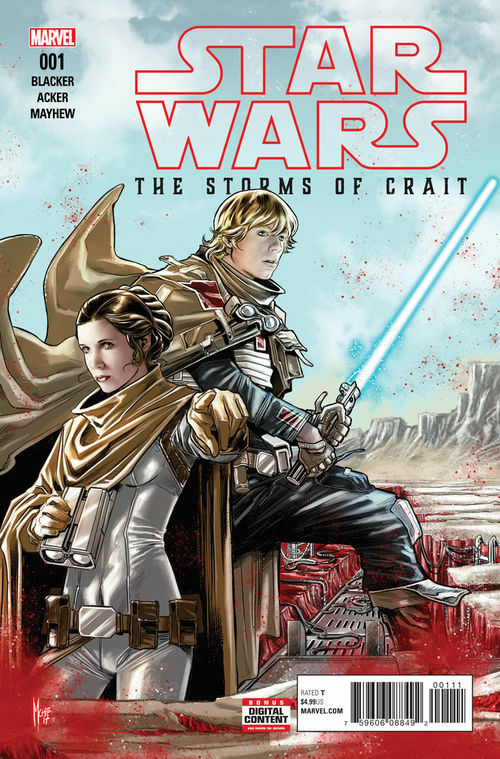 If you’ve seen Last Jedi, you know Crait as the cool salt planet with the red streaks. Like all of the Star Wars comics that I have read, this one’s pretty cool. We get to spend more time in the universe with characters we’ve grown up with and loved for decades. And, the creative team was very careful to make sure that the characters visually match the characters from the films. The $4.99 price tag seems a bit high. But Star Wars gonna charge, am I right? The price of some single-issues is a bit silly these days, but a one shot like this might not ever appear in a trade, so if you want it, you are sort of stuck with the $4.99 price, unless you can find it on a digital sale. I say get it if you loved Last Jedi. The location pairs well with the new film, and you get some young Luke complaining about his farming days. It’s a fun read if you got the 5 spot.